An Open Sesame to all sorts of links to the mediaeval world…. 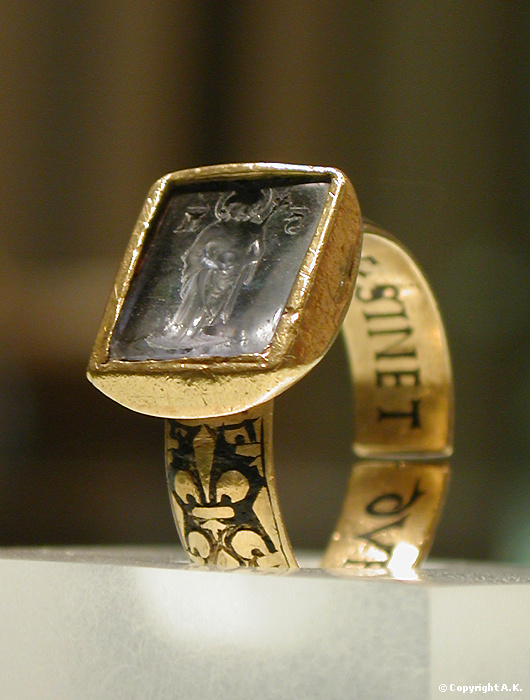 While Googling around in search of old portraits, I happened upon this interesting site, which has a LOT of pictures/information on mediaeval jewellery, as well as portraits and many things of note for those who like the mediaeval period. A very satisfying way to pass a little time in amiable browsing. The link is to rings and portraits, but other links lead to all sorts of places. 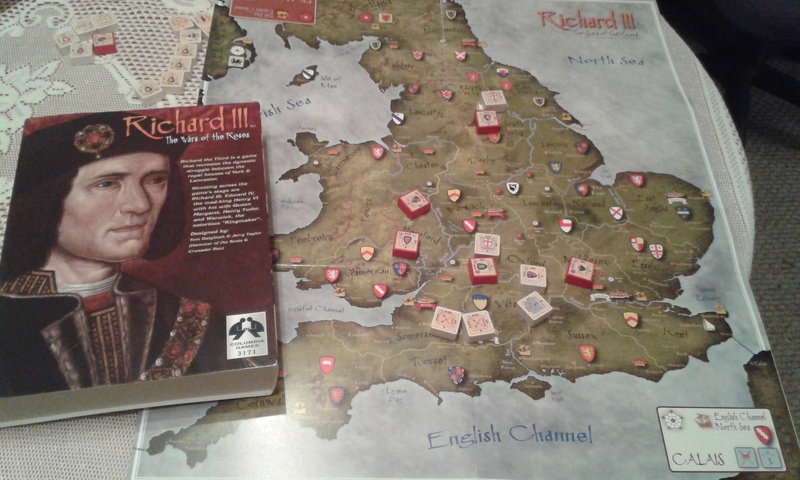 Picture of the board game “Richard III”, showing the map which comprises the playing area and the lid. I was lucky enough to get a board game for Christmas from my 29 year old son, Jim, who is a board game fanatic! Luckily his wife, Kat, is too! Anyway, this one is a bit special because it is called “Richard IIITM – The Wars of the Roses” by Columbia Games, Inc. (Incidentally, I’m not sure you can trademark the words “Richard III”!) Yesterday, I took it with me when I went to visit them and Jim and I spent the next five hours playing it. It is a very good game, but extremely complicated, as indeed the Wars of the Roses were, but I found it most enjoyable. Basically, it’s for two players (or teams) and you decide at the start who is Yorkist and who is Lancastrian. Each side has five major playing pieces, representing their five ‘Royal heirs’ – so for the Yorkists these are: Richard Plantagenet, Duke of York; Edward, Earl of March; Edmund, Earl of Rutland; George, Duke of Clarence; and Richard, Duke of Gloucester. Then there are various loyal nobles and other not-so-loyal ones, as well as rebels, mercenaries and churches playing their parts. The game consists of three campaigns each comprising seven game turns. The game board is a map of Mediaeval Britain. However, the game plan does not necessarily follow the course of the actual Wars of the Roses, so you can end up with various different possibilities. As an example, in the game we played, the Yorkists ended up on the throne, with the Duke of York and Edmund both dead (which was what actually happened) and Edward ruling. But you could equally have the Duke of York surviving to rule and become Richard III in the first campaign! Then, in a later campaign, he and all the other heirs except Richard of Gloucester could die and Richard might thus end up as Richard IV or even be killed before becoming king! The Dukes of Clarence and Gloucester are minors at the start of the game and don’t come into play unless or until the senior heirs are killed. You can therefore play a game without Richard of Gloucester even taking part! This is only an issue because of the title of the game, which I feel, is a blatant attempt to cash in on the Richard III media bandwagon. To be fair there are other scenarios that you can use, apparently, on the makers’ website. However, despite this one criticism, it is an excellent game and even allows for the heirs to withdraw into exile (Burgundy or Ireland for York and Scotland or France for Lancaster), forced marches, plague and treachery. For the latter, there are some nobles from each side (e.g. Buckingham, Stanley and Northumberland) who can be ‘turned’ to fight for the other side. These include Clarence and Warwick, so the designer obviously knows their history. The Treachery option makes the game more interesting and true to life. That being said, it was a great pleasure to me to ‘turn’ Buckingham and have him fight for the Yorkists! 1) His son Edward, the 3rd Duke, was beheaded in May 1521 having expressed the view that he was a claimant to the throne, Henry VIII being almost childless at the time. Despite Shakespeare’s portrayal, evidence that he was engaged in a plot of any kind is very thin on the ground. 2) His granddaughter, Margaret Bulmer *, was burned in May 1537. Together with her late husband, Sir John, she had been involved in the Pilgrimage of Grace and a later revolt. 3) His great-grandson, Thomas, was beheaded in May 1557 as the ringleader of the Scarborough Rebellion. After Thomas’ time, the Stafford surname became somewhat safer. His nephew Sir William rebelled against Elizabeth I but was merely imprisoned. The Stafford barony was restored in 1548 and it eventually passed to one of the last remaining members of the family, Mary. As a ward of the Howard family, taking a ninety year enforced holiday from their Norfolk duchy, she was married to William Howard, descended from Edward Stafford’s daughter, who was created Viscount Stafford. On the third last day of 1680, as one of five Catholic peers arrested over the “Popish Plot”, the aged Viscount met his death at Tower Hill although none of the other four were actually convicted. Mary Stafford was created a Countess five years later, which didn’t quite compensate her adequately. The final example came just over a century later – the victim didn’t bear the Stafford surname even by marriage and he wasn’t executed in England. 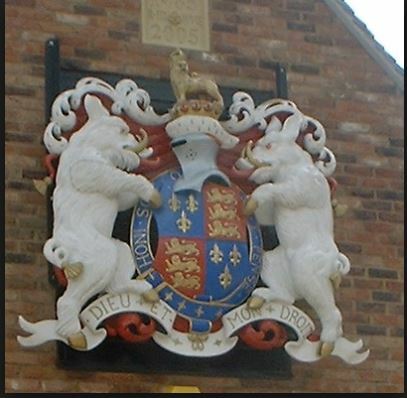 William Jerningham was posthumously agreed to have been a Baron Stafford and Frances, nee Dillon, his Baroness. General Arthur Dillon, her brother, was an English-born Irish officer in the French army and was beheaded in April 1794 as an alleged counter-revolutionary. A Richard for every month of 2015….? The laboratory that identified the skeleton from under a Leicester car park as the last Plantagenet king was in the spotlight again last spring when 12 more sets of mortal remains, many of them comparatively recently deceased, also tested positive for the crook-backed monarch. “It’s ridiculous – everything keeps coming up ‘Richard III’! There may be something up with our equipment,” chuckled a technician on “Newsnight”. ‘LOVE!’ Cecily almost screamed. ‘What the flipping flip does flipping love have to do with marriage among people like us?’ She didn’t actually use the word ‘flipping’ at all, but a somewhat stronger alternative. Edward was shocked. It wasn’t every day that his mother came out with rude words like that. Indeed it was a distinct novelty. He hadn’t realised that she even knew such language. ‘Would they not indeed?’ Cecily snorted. ‘You’d be surprised! Did you know that your birth came at a funny time? 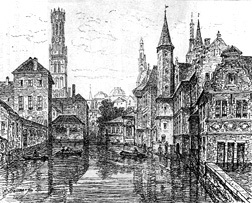 You were either very late or very early, and there was all manner of gossip in Rouen, especially when we only gave you a cheap baptism. 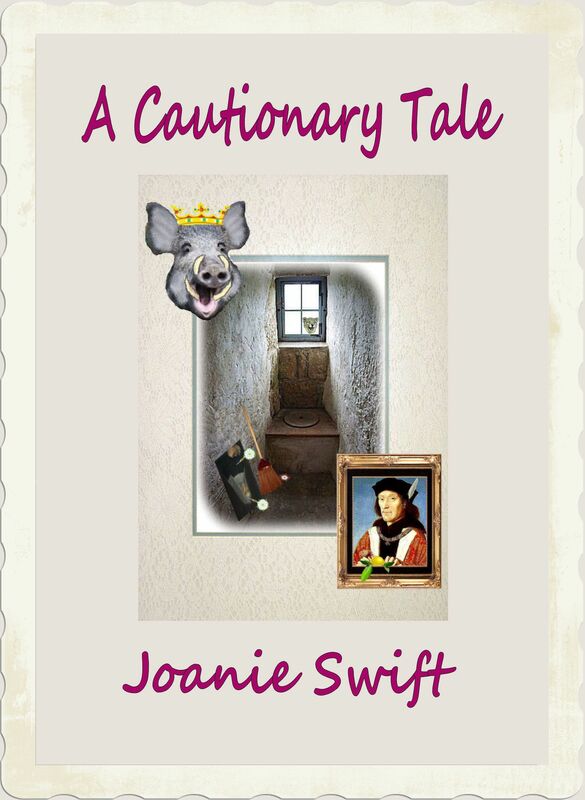 As Joanie Swift herself states, “If only the Battle of Bosworth had not ended in a Tudor victory . . .” Yes, but it did, and we can’t change that, although Joanie takes a huge swipe in the right direction with this hilarious little roman à clef. Instead of Bosworth in 1485, we’re in London in 1952, on 2nd October, the anniversary of Richard III’s birth, and events are in progress to right the horrible wrong of his defeat and death by treachery. It is also a defence of that tragic king’s reputation and a no-nonsense restoration of his honour. A rib-tickling, modern(ish) tale of revenge and just desserts. Pot shots aplenty at the 1952 equivalents of all those actual historical figures who did the dirty on Richard. And they get short shrift at Joanie’s hands. As does any historian who is less than honest about acquiring ‘new research’. She describes herself as “British, grandmother, ready for the fray . . . willing to pull rugs from beneath feet of clay”. Battle Granny, ready to defend Dickie Broom’s honour. Well, if you guess who Dickie Broom is really, then you will ‘get’ the rest of this satirical tale. Revenge is a dish best served cold, and this is 500 years cold! But sweet for all that. The statement that Richard III used the phrase ‘pell-mell’ brought me up sharply. He what? According to Merriam-Webster, the word dates from 1590, a good hundred years after Bosworth. According to the Free Dictionary it dates from 1570-80, from the Middle French pelemele, Old French pesle mesle, rhyming compound based on mesler, to mix. I have not investigated further. 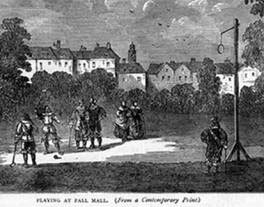 Now I was taught at school that the London street Pall Mall was named after a game, called pell-mell/pall-mall, that was played with a long ‘alley’. Something along the lines of a bowling alley. That’s debatable, apparently, because Wiki says it was a game similar to croquet or golf. The above illustration makes the game seem like a cross between golf and basketball, while others definitely show an alley (the mall?) with a single large croquet hoop stuck in the ground. Anyway, the naming of the street Pall Mall definitely happened in the 17th century. Now, a little more delving takes the game back to 16th-century France. See http://www.golfika.com/hisgen_e.html. So we’re getting closer to Richard’s time. But did it really go back to then? How old was this game? And might Richard have used the phrase? Well, as I have never heard it being assigned to him, I think not. I can’t even picture him using it, because in my mind it’s the wrong era. So where did Mr Kiffer get the idea that Richard did? Postscript. Well, thank you Esther (see comment below) for solving the problem. It seems we have Shakespeare to credit for the connection between Richard III and ‘pell-mell’. So, in a way, Richard did yell “Pell-mell!” – but only courtesy of the Bard. The palace was at Garth Celyn (Clwyd) and the ancestor in question was Llewellyn (Fawr) ab Iorweth, whose daughter Gwladys Dhu married Ralph de Mortimer of Wigmore. So, despite the recently highlighted doubts about the other contender at Bosworth, Richard at least was of royal Welsh descent.